Not long ago, we heard that Samsung would design its upcoming Galaxy S flagship from scratch under the codename Project Zero. Another rumor had it that the new handset would sport a curved display a la Galaxy Note Edge, with the mention that it should be curved on both sides, not just on the right. Now, Sam Mobile “can confirm” that the upcoming flagship will be called Galaxy S6 - but that’s hardly a surprise. The website also notes that we should expect to see a Galaxy S6 Edge (name subject to change) variant, which would, indeed, offer a curved display, though it’s not clear if it’s going to be curved on one, or two sides. Assuming that all this is true, it looks like we’re going to have a regular Galaxy S6, with a flat display, and a version of it with a curved screen. 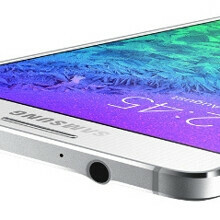 The latter may be released only in select markets - just like the Galaxy Note Edge. As a reminder, the rumored specs of the Galaxy S6 include a 1440 x 2560 (Quad HD) display, a 5MP front-facing camera, 16 MP or 20 MP rear camera, and a Qualcomm Snapdragon 810 or Samsung Exynos 7420 processor. The smartphone should be made out of metal - at least partially. We’re expecting Samsung to announce the Galaxy S6 in the first quarter of 2015 - one year after the Galaxy S5. What are your expectations regarding the new Galaxy flagship? This phone will change everything. Like the S4 and S5? I sincerely doubt it. Hopefully, Samsung will make that change (performance optimizations) in Touchwiz .. It's just worthless carrying a costly phone which lags or stutters at times !! .. it's just unacceptable !! i think samsung doesn't need to make changes into stock android..they just need polishing their current TW ui into something new and refreshing looks with less bloatware and done! !, people will start to have faith into samsung again.. This. Only on the internet you hear a small minority of tech geeks clamoring for stock. Most people I've meet could care less about how a manufacturer skin looks,what they do care about is what their phone can do that others can't. I find air gestures useless and multiwindow awesome, and then there's people that could give two s**ts about multiwindow because it can't help them when their hands are wet and they wanna scroll in the browser, etc. Who's wrong for liking what? Nobody. ... and runs like a pig. aparently note 4 with TW have better battery life than nexus 6 stock lolipop, wait till TW version on note 4 lolipop update, that's where we see which has better optimization software. Why don't you just buy it, root it and make it stock? You can pretty much make any phone stock by rooting and flashing a stock rom. If you aren't up for that, get a Nexus phone. That may depend on how big your pockets are. LOL But yes, I'm excited to get the S6 when it's released. make it curved on top and bottom sides..or all 4. QHD is so 2014. Make it 4K display and they will buy it. Hurry up Samsung! Both my Z and Z2 are dead, so I need a replacement. And roll all of Active's positives into S6 as well? Because if not this is a world record sprint back to square one for Samsung when they actually need to trim the hefty cruft at the top end? So will it be S6 (regular), S6 Edge, S6 Active, S6 GPE with a friggin' S6 Mini (although yes categorically Minis shouldn't really be considered high end) again? Only apply that brand to their top of the line phones. To make the S and Note stand out next to their low end crap phones. In reality, thats what people want. People want their phone to look good and show off... Look at the iPhone. The majority of people that buy iPhones do it for the brand and the "look im cool" hipster status. Most of the people I've ever talked to about any iPhones don't even know what they do. They just know it's made by Apple and people stand in line for it.